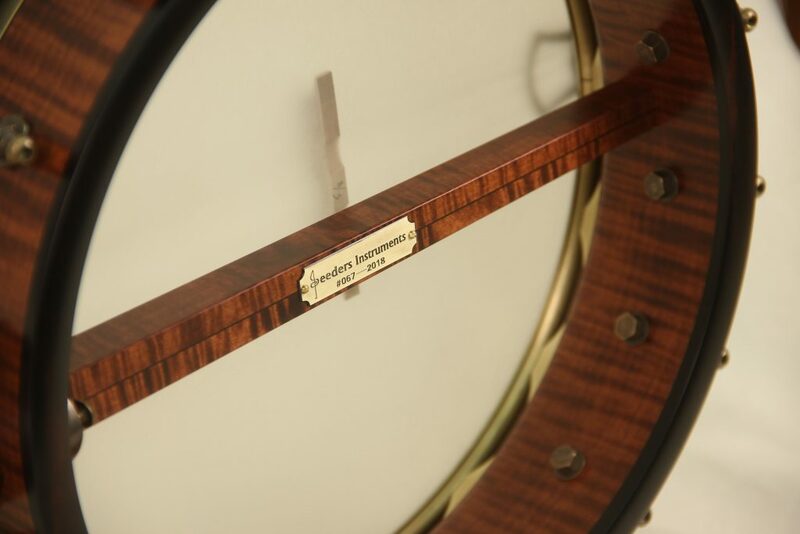 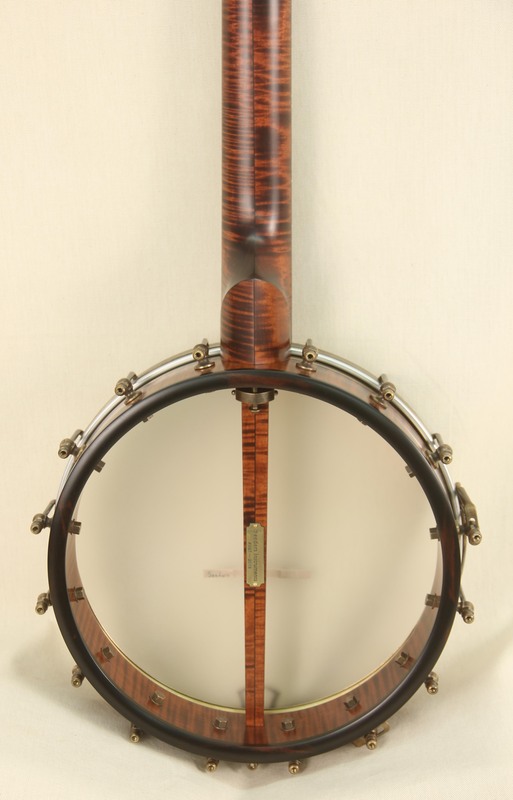 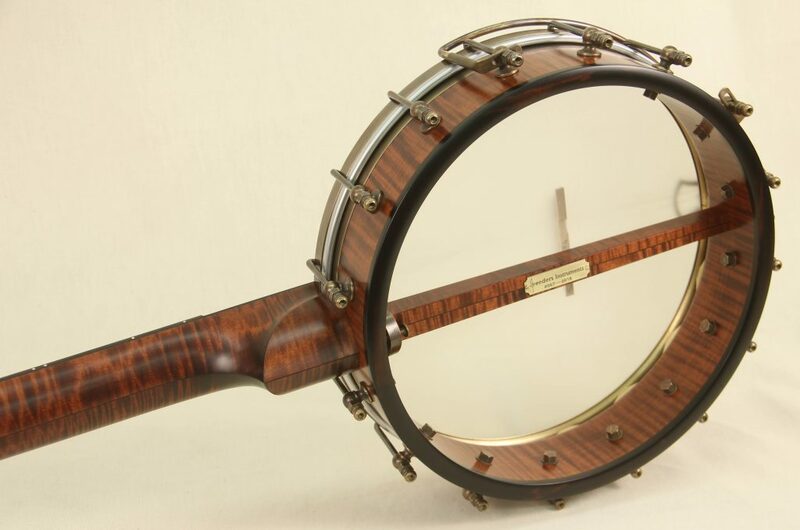 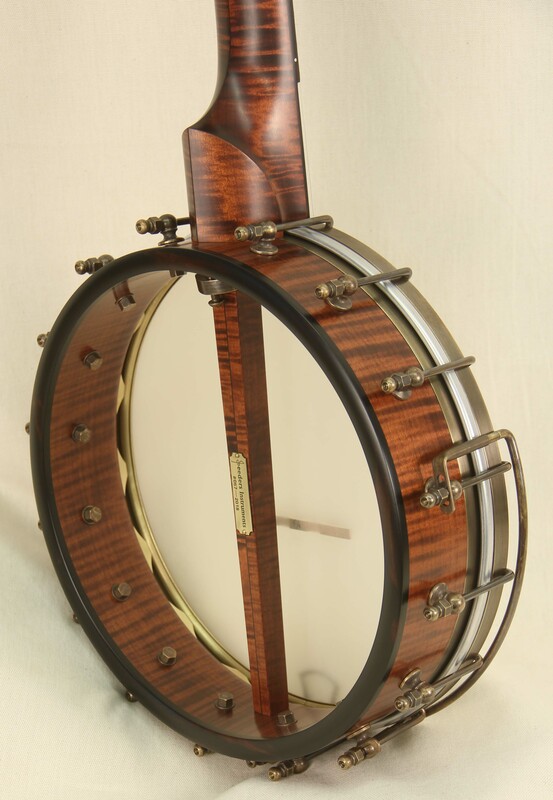 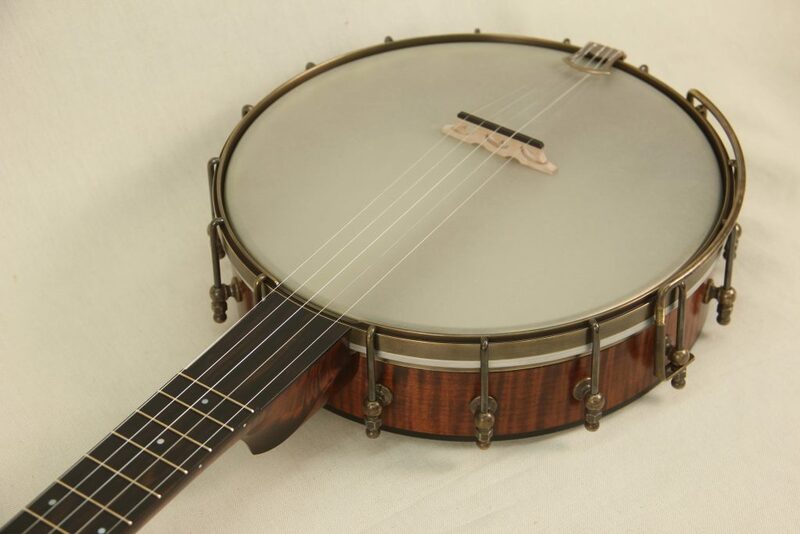 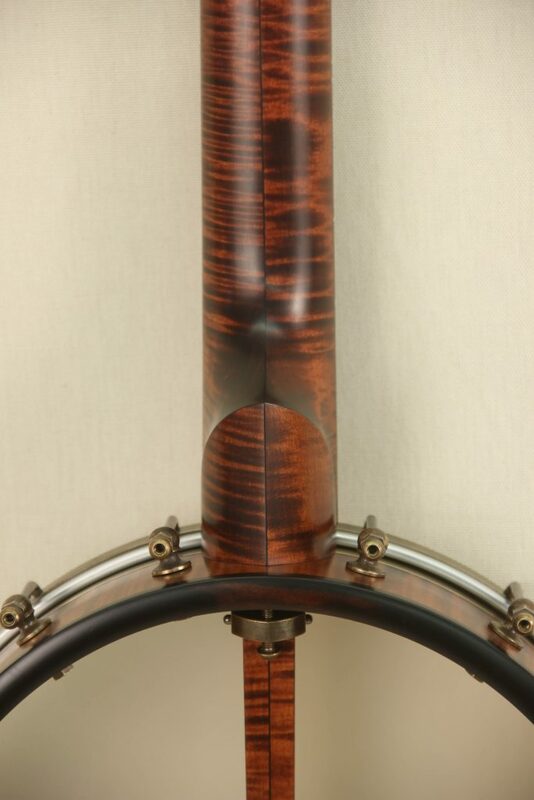 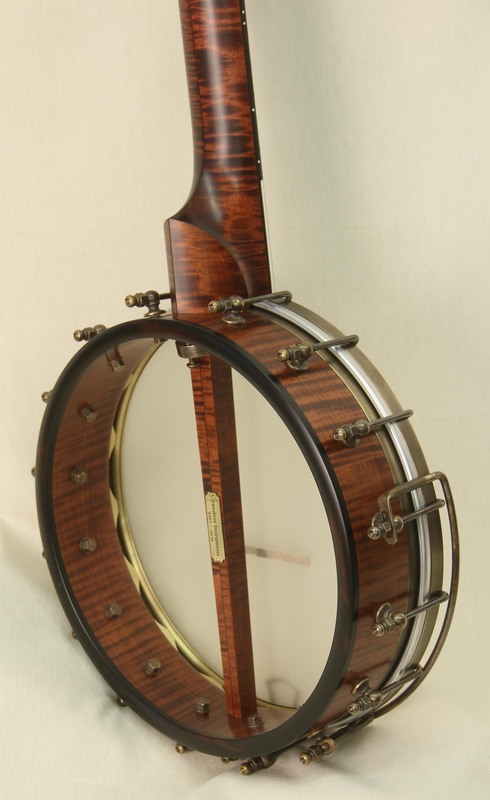 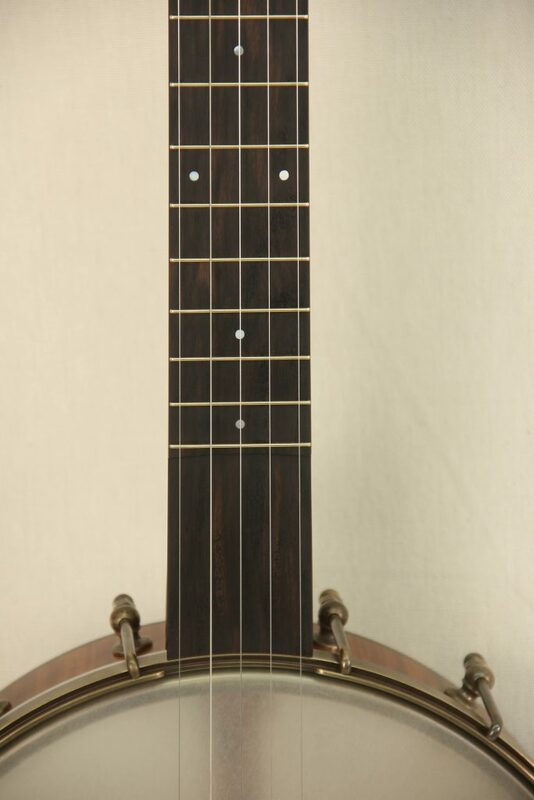 This banjo was custom built for a student at Berklee College of Music looking for a banjo with a strong voice and tone to fit playing clawhammer as well as to accompany songwriting and singing. 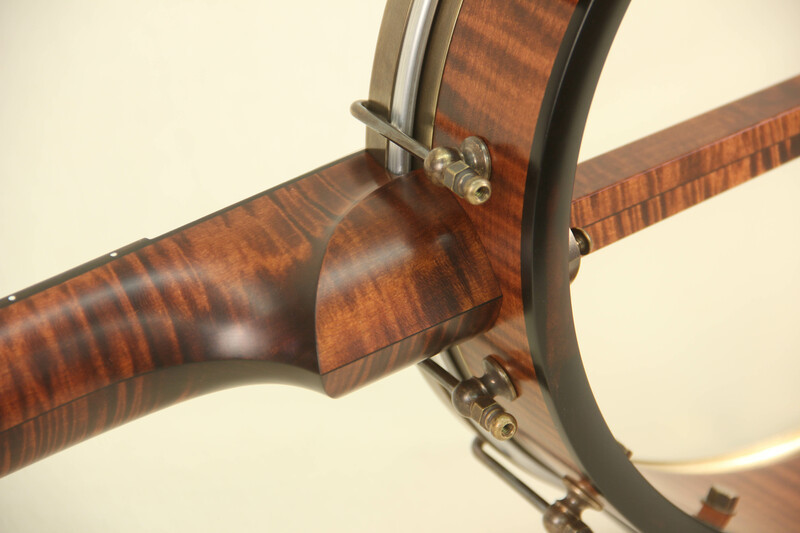 The design was based on The Lion Head Model but simplified aesthetically. 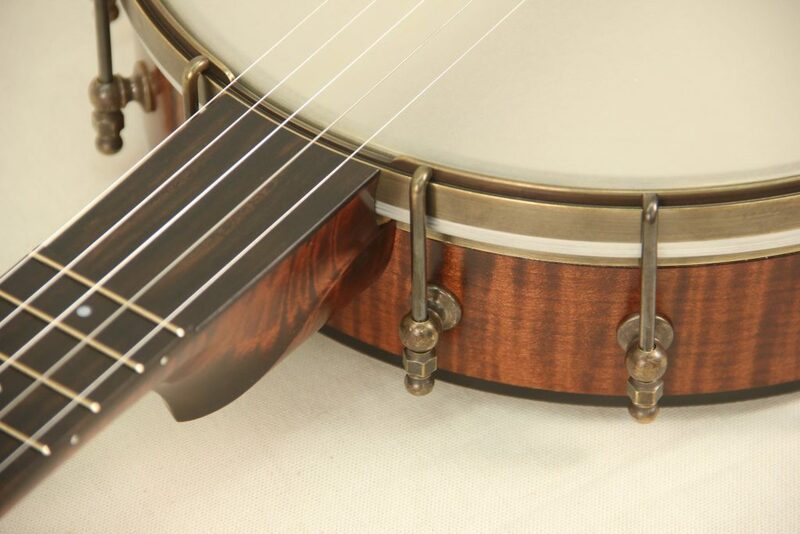 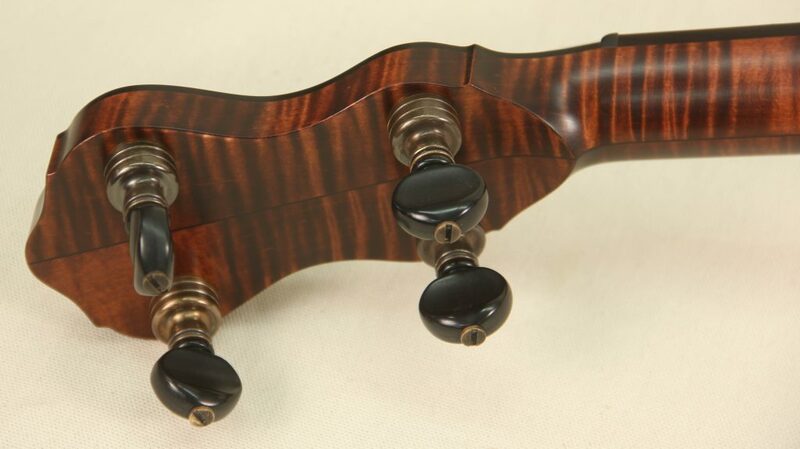 The Whyte Laydie tone ring is one of the staples of the old time banjo world and is an amazing versatile tone ring for many styles of playing. 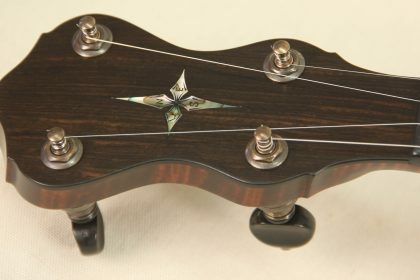 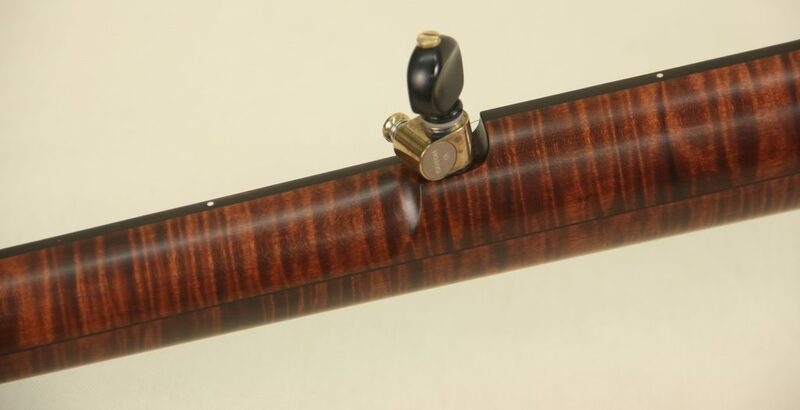 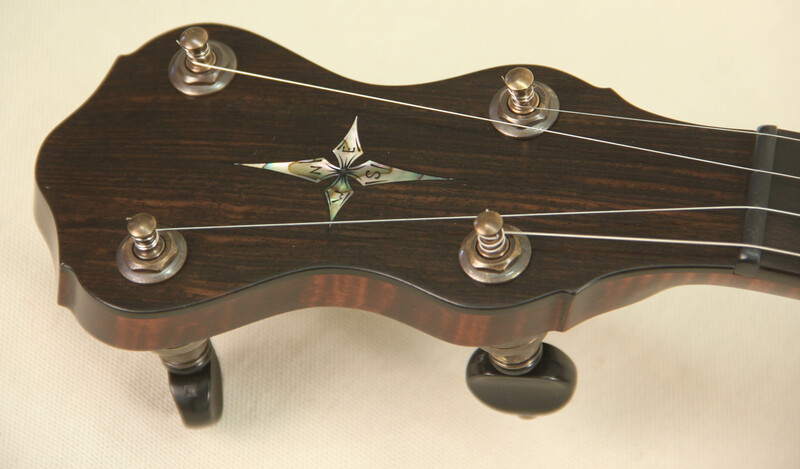 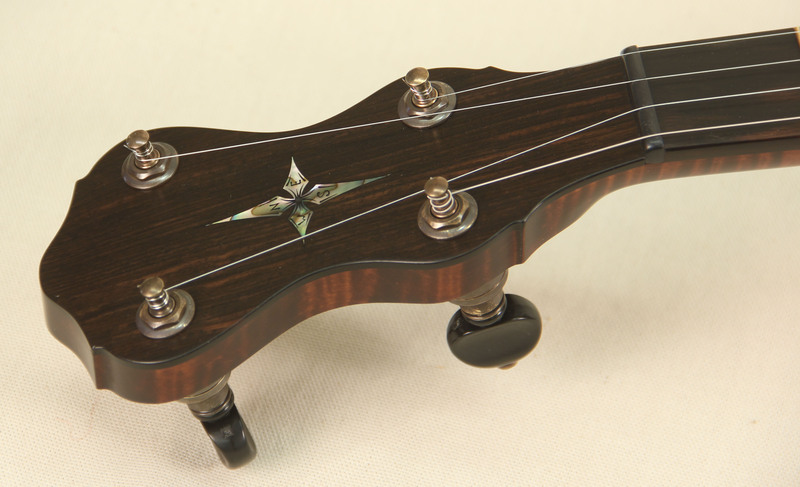 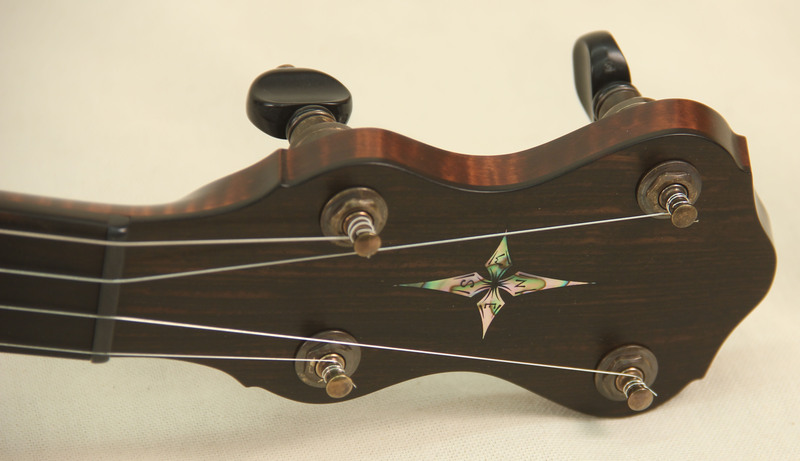 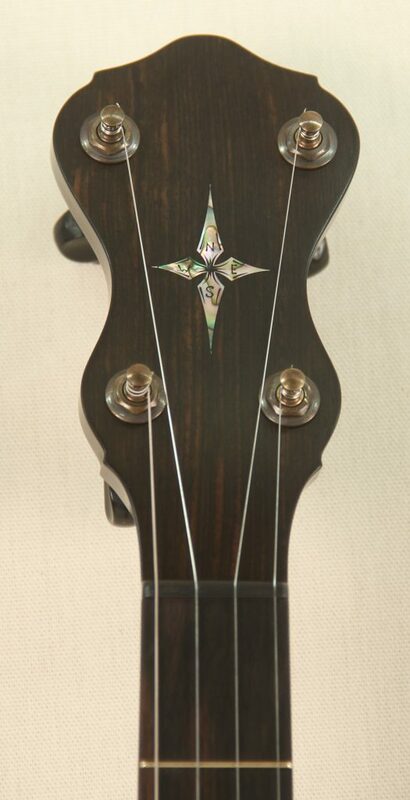 The compass inlay was inspired by a drawing that adorned the owners first banjo and they wanted to continue on the theme.